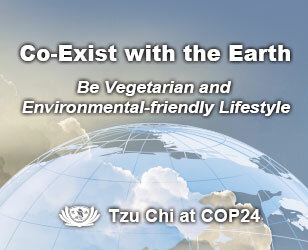 Tzu Chi volunteers have arrived in North Korea to conduct the largest single operation in the foundation's history. It will benefit 143,000 households and a total of 400,000 people and comes 11 years after the foundation's last distribution in the country. On November 11, 40 volunteers left Taiwan for an operation that will last nine days and cover four prefectures. 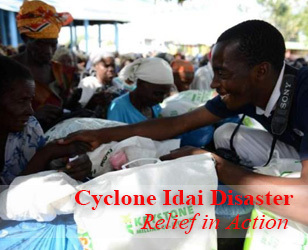 They will distribute more than 13,000 tons of rice, 350,000 liters of cooking oil and 43 tons of infant formula. In May this year, the United Nations warned that there were at least six million North Koreans in urgent need of food aid, especially children, pregnant women, seniors and patients. In 2010 and 2011, the country suffered from serious flooding during the summer that followed an extended winter; all this led to a poor harvest. In addition, three years of international sanctions have led to a reduction in food aid from foreign countries. As a result, the country is facing serious food shortages. In July, the foundation received a request for help from the North Korean Council for the Promotion of International Trade, the organization which co-operated with its distributions a decade ago. Dharma Master Cheng Yen, founder of Tzu Chi, cannot bear to see people suffer. Therefore the foundation sent two inspection teams to North Korea in August and October and started to plan the relief operation. It has been an enormous logistical challenge, to deliver such a large amount of material to a country with an undeveloped infrastructure. Luo Ming-xian, leader of the relief team, said: "I believe we have built a rapport from the previous distributions 12 years ago in North Korea." To ensure the smooth accomplishment of the mission, Master Cheng Yen addressed the volunteers in the Jing Si Hall in Taoyuan, close to the airport from which they were to depart. She said that she expected the volunteers to understand more about the medical needs in North Korea. "The inspection report showed the same lack of medicines and medical equipment as ten years ago." Between January 1998 and March 2000, the foundation sent aid to North Korea seven times; the items included rice, canned food, powdered milk, fertilizer, farming equipment and winter clothes. Normally, the government does not allow international humanitarian organizations to enter the country to deliver relief items; it holds a simple donation ceremony at the port of entry. 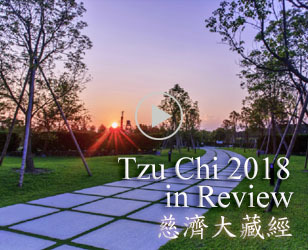 But, on Tzu Chi's sixth relief mission, the government decided to respect its principle of direct aid; it allowed 50 volunteers to go to the countryside and personally distribute rice to over 40,000 families. It was an unforgettable experience for the recipients and the volunteers. In the 11 years since then, despite the distance, the concern of the volunteers for them has never ceased. They believe that their warmth and the sincerity behind the operation will melt the coldness of the North Korean winter.
" Constantly practice goodness when you are healthy; plant the seeds of goodness to reap the fruits of blessings, thus, paving the way to a healthy life. "